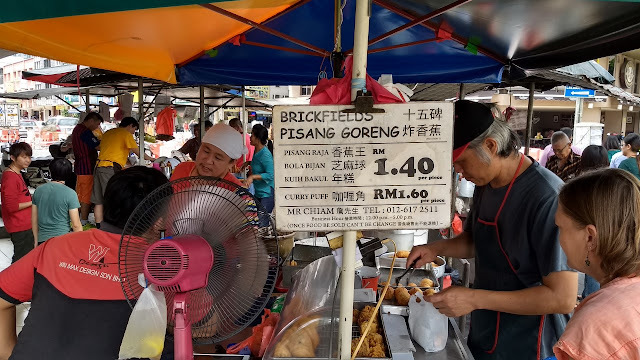 After having lunch in the Brickfields neighborhood, we found ourselves in the vicinity of a famous pisang goreng (fried banana) cart, so we stopped by to check it out. 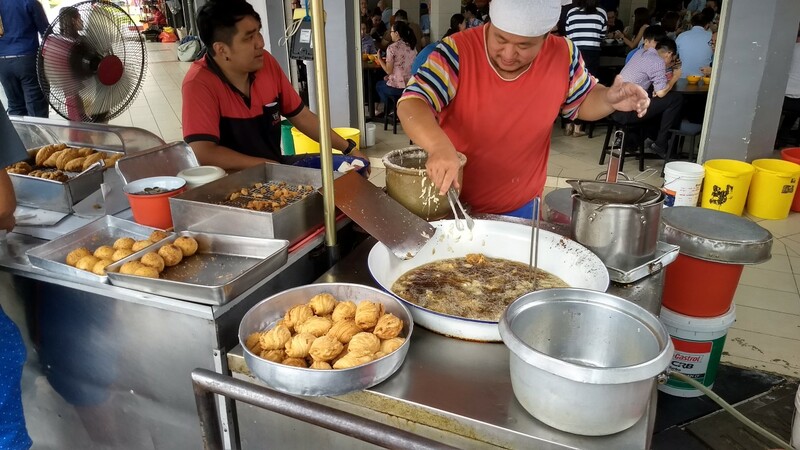 Unfortunately, they had not been able to get their banana stock and so fried banana was off the menu. 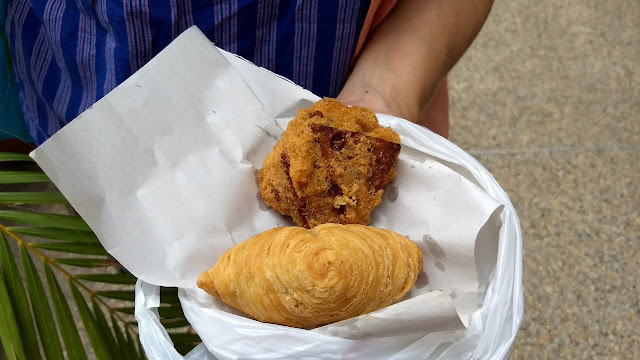 Not to be deterred, we ordered a curry puff and a kuih bakul. 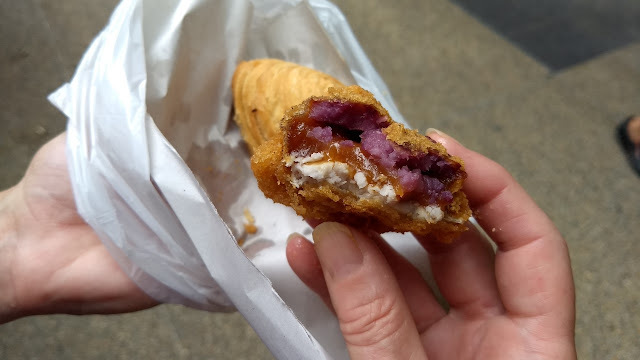 The kuih bakul was a caramelized rice cake wedged between a slice of sweet potato and a slice of daikon radish, then deep fried. Sounds like a strange combo, but it was really good. We didn't have belly room for the curry puff until later in the day. 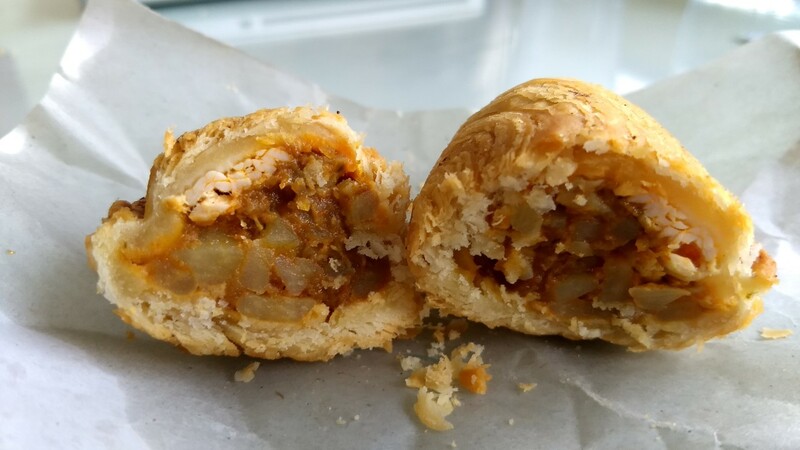 Chunks of chicken and potato with a super savory curry mixture and a nice, flaky crust. Even cold, this was one of the best curry puffs I've had.